If you have badly broken teeth or weakening caused by decay, large fillings or worn down teeth, dental crowns are the ideal solution to restore your teeth in a natural way. Dental crowns are commonly referred to to as a “Cap”, because the crown protects the damaged tooth from further damage. 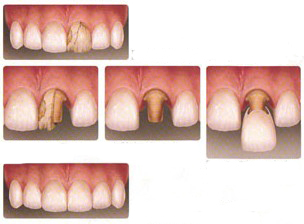 A dental crown can recreate the original shape of your tooth as a natural tooth whilst improving its strength. To strengthen a broken tooth that is decayed or cracked. If you have a tooth which is at risk of cracking. 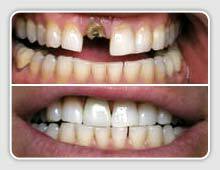 To improve the appearance of teeth that are a result of discoloured fillings. If you have a root filling, having a dental crown on the tooth will give it protection. To improve the cleanliness of a tooth. New patients book an appointment online. The dentist will discuss all possible treatment options with you before deciding on a treatment. Once you and the dentist agree that a dental crown is the right treatment the dentist will start the preparation for the dental crown. You may have a local anaesthetic to avoid any possible discomfort during the treatment. Cleaning the tooth, removing all decay, signs of decay and reshaping the tooth are the main activities involved in the first stage. The dentist will use dental wax to obtain an impression of your tooth. This will be the base or blueprint of your dental crown, until the final crown is made, a temporary crown will be fixed to your tooth. At this visit the temporary crown will be removed and the permanent crown will be fixed. The dentist will ensure the fitting and alignments are perfect before fixing the crown. If you and the dentist are satisfied with the placement, the dentist will apply a dental cement to fix the crown permanently. The average life of a dental crown is 10 to 15 years. However this may vary from person to person. If you take good care of your crown as much your other teeth, it will last longer. You will need to have regular check-ups with the dentist to ensure your dental crown remains in good condition. 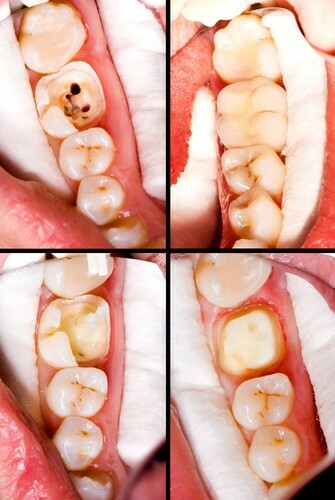 Dental crowns cannot decay, however decay can start from the edge of crown where it joins the tooth. Therefore regular check-ups are necessary. ental Crowns can be made from a wide range of materials and we will advise on the best choice for your needs. This has the advantage of strength from the metal lining and good appearance from the ceramic coating. Modern all ceramic materials are now available which give a beautiful appearance whilst still being very strong and durable. Gold can be used where strength is the main consideration. If you would like discuss dental crown treatment please feel free to contact our practice at any time. You can call us on 01606 44725 or email us your enquiry. If you are planning to have a dental crown on your tooth, please fill in the online appointment form to enable us to reserve a convenient time for you.